Few artists understand the form's capability for such qualities as the three musicians comprising Boom Box. All veterans of the world, multi-reedist Thomas Borgmann, bassist Akira Ando and percussionist Willi Kellers combine their efforts for a series of fluttering extrapolations on loose themes that pull from an enormous variety of free jazz's past realizations while still defining itself with a distinct sound all its own. 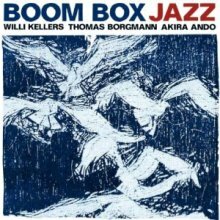 The album opens with "Little Birds May Fly," Borgmann's soprano sax jumping an octave in a theme that is immediately met with the undulating rhythmic densities of Kellers and Ando, who flit around each other in mimicry of the title's imagery. The group pulls from John Coltrane's soprano work, but even stronger are the hints of Henry Threadgill's work in Air, all three members playing equally and filling in each others' gaps with telepathic congruity. It is unclear if the title is meant to play off of Borgmann's associate, Peter Brötzmann, and his Die Like a Dog Quartet quartet's Little Birds Have Fast Hearts, but the approach here is similar, even if the sound is far more airy and light. "How Far Can You Fly?" continues in a similar vein, albeit with Borgmann smearing lines on his tenor, constantly pushing against the rhythmic gravitational pull of Ando and Kellers. Eric Dolphy, Albert Ayler and Ornette Coleman are obvious reference points, perhaps, but the group's deep understanding of those traditions is what allows it to create material this thoroughly unique, with the reference points very deeply digested, indeed. "Hey Little Bird" begins with only the smattering bounces of Kellers' kit, before Borgmann and Ando join him for a dirge that unfolds majestically; again, Air is a strong point of reference, especially Kellers' Steve McCall-like sense of melodious timing. "And to Where?" further follows these lines, the question mark at the end of the title summing up the journey at each moment. Borgmann's soprano, light as air, crafts singing lines that ceaselessly drive the material into new thematic realms. "Albert & Frank" is named for Ayler and Frank Wright, and poignantly begins with Ayler's "Ghosts," a theme that the group immediately makes its own. The closing "Only for Dörte" is much darker than the rest of the album, weaving itself through lines of gray swampland. If the theme of the album is flight, than this is its counterpart, slowly dragging linesbeautiful, but desperate. A thoroughly listenable, thematically based work, Jazz is unconstrained in feel but devoid of so much free jazz's brutalizing reputation. These are, first and foremost, melodic players, interacting with each other in a loose environment where they are able to make whatever choices they see fit; a very exciting thing indeed, and throughout, Boom Box traverses new ground at every turn. Track Listing: Little Birds May Fly; How Far Can You Fly? ; Hey Little Bird; And To Where? ; Albert & Frank; Only for Dörte. 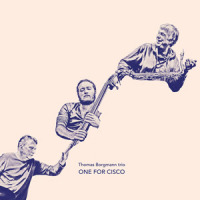 Personnel: Thomas Borgmann: tenor, soprano amd sopranino saxophones, harmonica; Akira Ando: double-bass; Willi Kellers: drums. 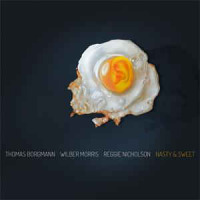 Title: Jazz | Year Released: 2011 | Record Label: Jazzwerkstatt Berlin-brandenburg E.v.